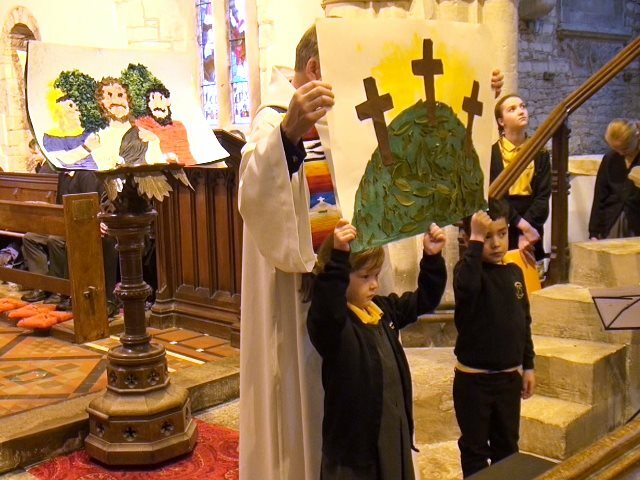 On Tuesday 27th March the whole school walked to St Andrew's Church for our Easter celebration. 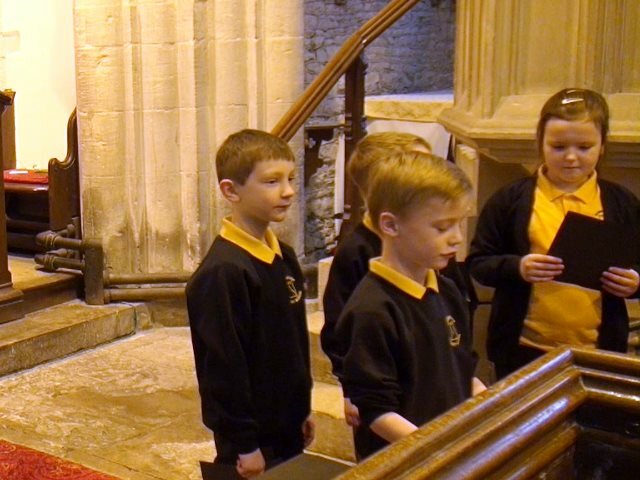 We were joined there by a large number of family members. 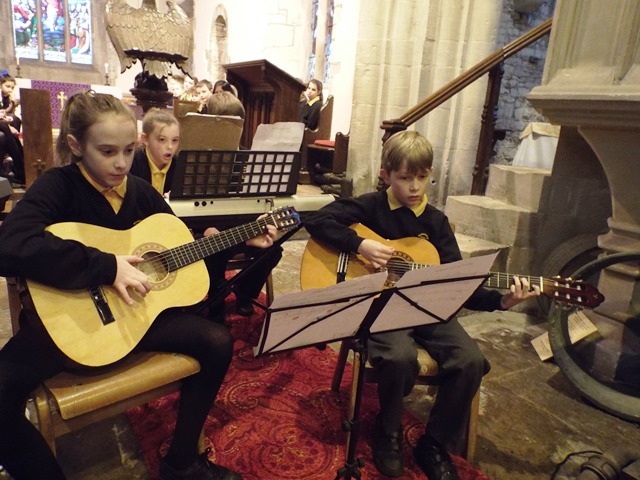 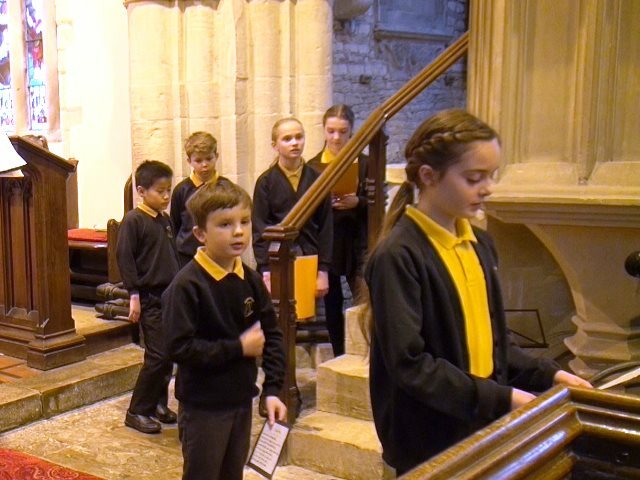 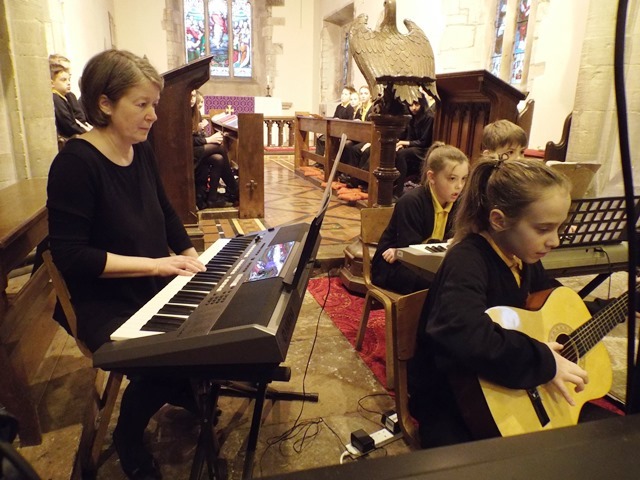 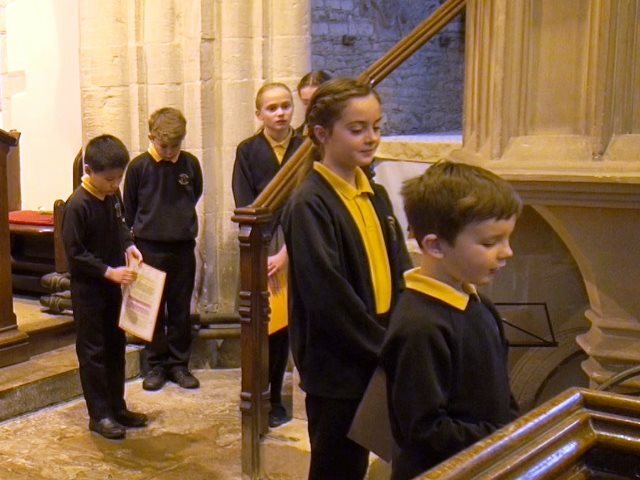 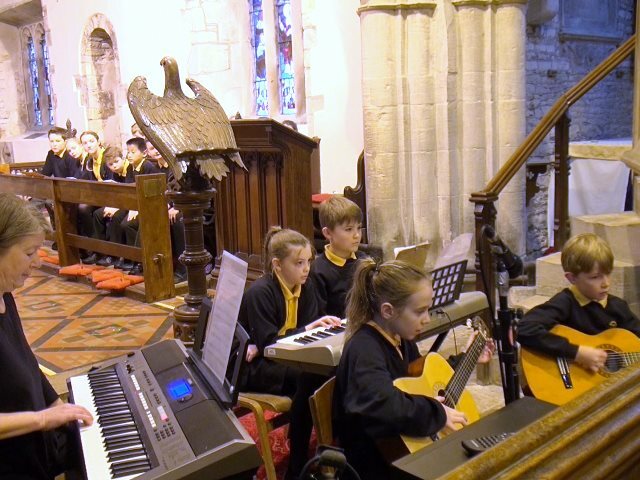 The service opened with prayers read by Year 6, then a performance of 'Morning Has broken' from the Year 5 ensemble, led by Mrs Davies. 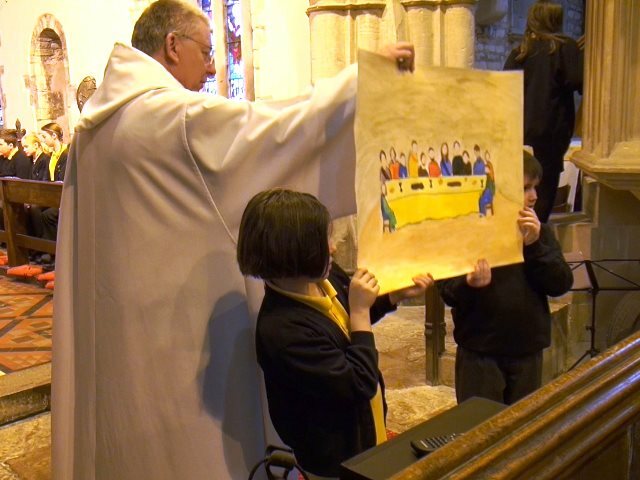 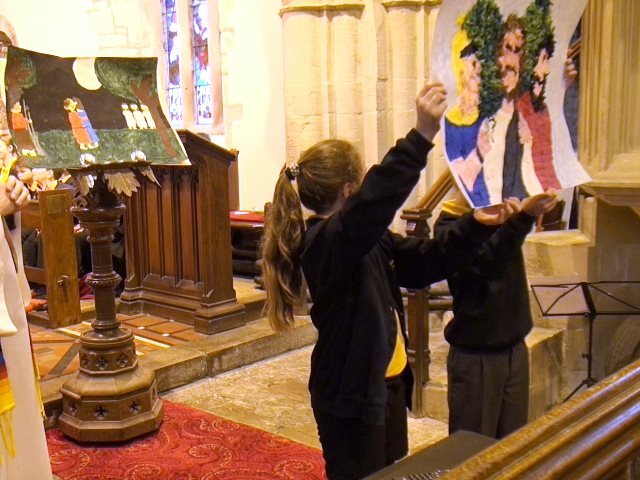 Year 5 and 6 explained the Easter story, illustrated by artwork from Reception to Year 4. 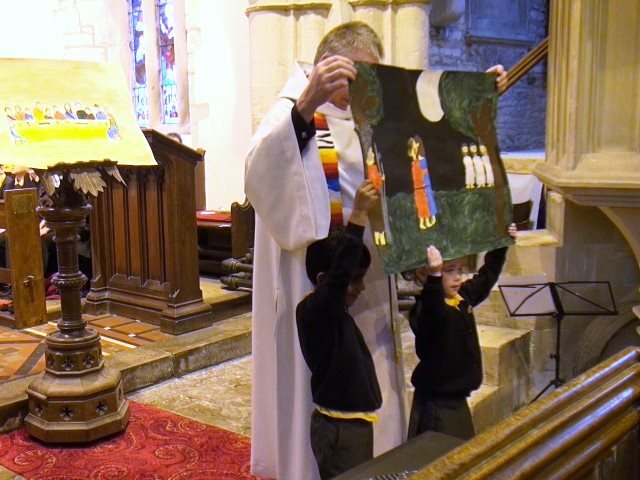 These pictures will be on display in the church during the Easter services. 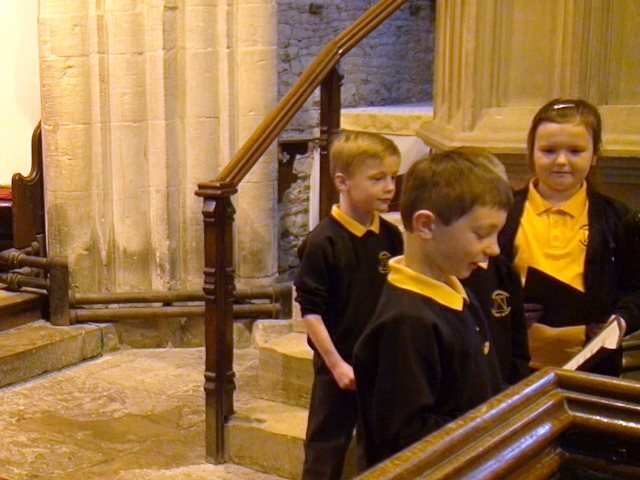 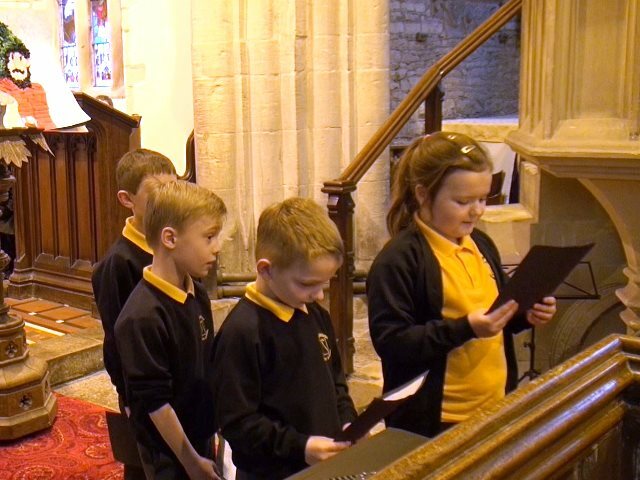 We also enjoyed some poems about different aspects of Easter from Year 2 and 4 pupils. 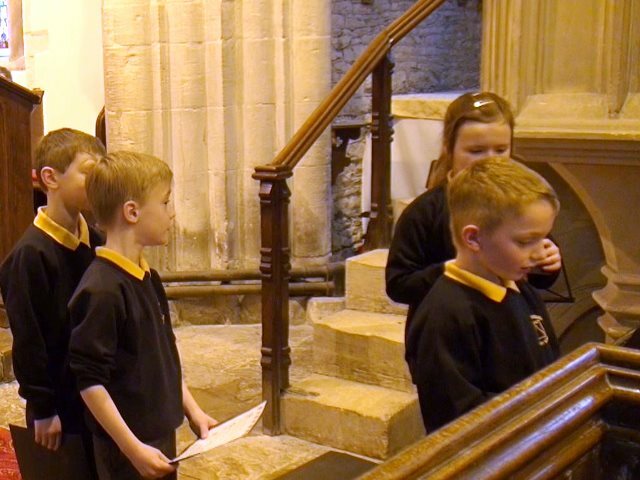 The service ended with a rousing rendition of the hymn 'Celebrate' with everyone joining in the actions.